Several of the presentations from the AOM professional development workshops are available here (2018), here (2017) and here (2016). 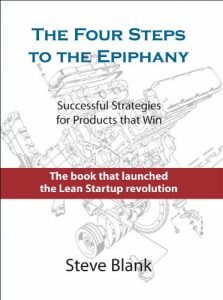 In addition to these, on this page we compile a non-exhaustive list of resources for scholars interested in researching Lean Startups. We identify a few of the relevant books on the topic. 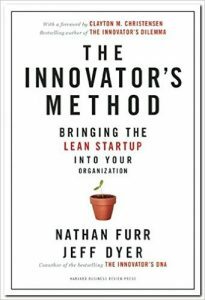 We also identify some academic articles with theory that may be viewed as related to the Lean Startup methodology. Links between existing academic work and the Lean Startup framework were a key topic for discussion at the PDW, and this conversation is ongoing—please contact the organizers if you have suggestions of material to add. 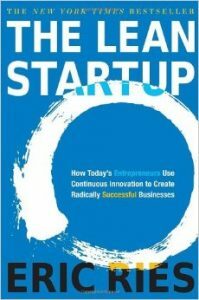 Here we list a sample of academic articles on topics that form underlying pillars of the Lean Startup framework. This is not a comprehensive list; it is intended more as primer and discussion starter than as an authoritative source. We welcome suggestions for additions to the list - please send these to one of the organizers. Amit, R. and Zott, C. (2001). Value creation in E-business. Strategic Management Journal, 22: 493–520. Chesbrough, H., and Rosenbloom, R. S. (2002). The role of the business model in capturing value from innovation: evidence from Xerox Corporation's technology spin‐off companies. Industrial and Corporate Change, 11(3), 529-555. Fiet, J. O. (2007). A Prescriptive Analysis of Search and Discovery. Journal of Management Studies, 44: 592–611. Katila, R., Chen, E.L. and Piezunka, H. (2012). 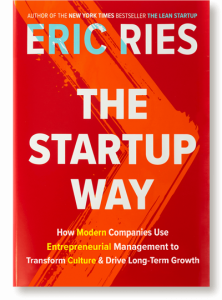 All the right moves: How entrepreneurial firms compete effectively. Strategic Entrepreneurship Journal, 6(2), pp.116-132. Marx, M., Gans, J.S. and Hsu, D.H. (2014). Dynamic Commercialization Strategies for Disruptive Technologies: Evidence from the Speech Recognition Industry. Management Science, 60: 3103-3123. Garud, R., Schildt, H. & Lant, T. (2014). Entrepreneurial storytelling, future expectations, and the paradox of legitimacy. Organization Science, 25(5), pp. 1479–1492. Garud, R. and Giuliani, A. (2013). A narrative perspective to entrepreneurial opportunities, Academy of Management Review, Dialogue, 38(1): 157–160. McGrath, R.G. (1999). Falling Forward: Real Options Reasoning and Entrepreneurial Failure. Academy of Management Review, 24: 13-30. Eggers, J. P., and Song, L. (2015). Dealing with Failure: Serial Entrepreneurs and the Costs of Changing Industries Between Ventures. Academy of Management Journal, 58(6), 1785-1803. Simon, H. A. (1996). The sciences of the artificial. MIT press. Van de Ven, A. H., and Polley, D. (1992). Learning while innovating. Organization Science, 3(1), 92-116. Thomke, S. H. (1998). Managing experimentation in the design of new products. Management Science, 44(6), 743-762. Miner, A. S., Bassoff, P., & Moorman, C. (2001). Organizational improvisation and learning: A field study. Administrative Science Quarterly, 46(2), 304-337. Murray, F., and Tripsas, M. (2004). The exploratory processes of entrepreneurial firms: The role of purposeful experimentation. In J. Baum and A. McGahan (eds. ), Advances in Strategic Management: Business Strategy over the Industry Life Cycle, 21: 45-75. Nelson, R. R. (1961). Uncertainty, learning, and the economics of parallel research and development efforts. The Review of Economics and Statistics, 351-364. Lynn, G. S., Morone, J. G., and Paulson, A. S. (1996). 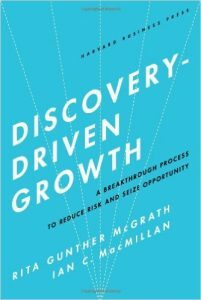 Marketing and discontinuous innovation: the probe and learn process. California Management Review, 38(3), 8-37. Terwiesch, C., and Loch, C. H. (1999). Measuring the effectiveness of overlapping development activities. Management science, 45(4), 455-465. Sorenson, O. (2000). Letting the market work for you: An evolutionary perspective on product strategy. Strategic Management Journal, 577-592. Erat, S., and Kavadias, S. (2008). Sequential testing of product designs: Implications for learning. Management Science, 54(5), 956-968. Here we collect links to working papers which are brought to our attention, covering topics either explicitly related to Lean Startup as an innovation strategy, or otherwise related to the fundamentals of entrepreneurial business model development.